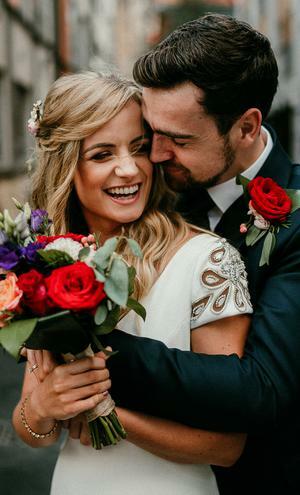 After a failed attempt to stage the perfect proposal by whisking Aisling away for a romantic weekend, Martin eventually settled on popping the question while the pair were on a stroll through the grounds of the beautiful Malahide Castle. 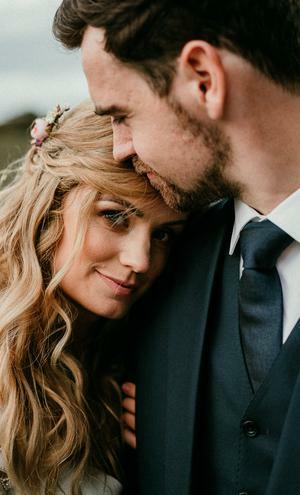 As many proposal stories seem to begin, Aisling didn’t initially want to go on the walk; Martin explains she had to be "coerced out of the house with the promise of a meal after the walk!" 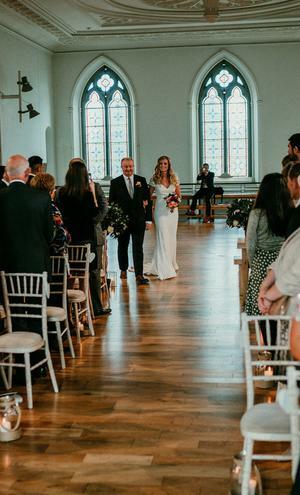 The couple tied the knot in a humanist ceremony in Dublin's Smock Alley Theatre in late September, before heading to Segrave Barns in Co. Louth for their reception. 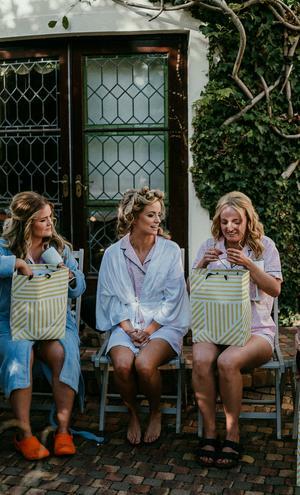 They wanted a non-traditional wedding that focused on their guests having fun and on doing things 'a little differently'. 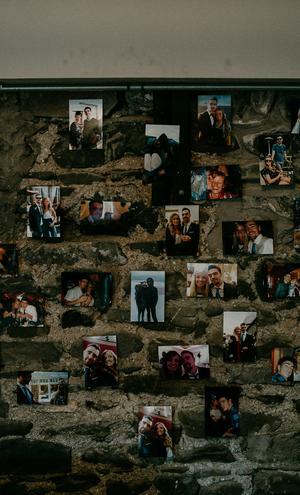 "Choosing the wine was our favourite part - Martin’s parents took this very seriously and we had two wine tasting sessions with us, his parents, his sister and my parents. We had about 50 glasses for the tasting." 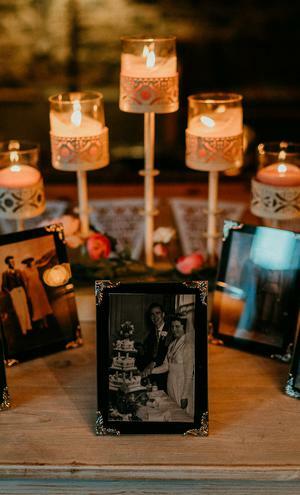 The couple managed to DIY lots of decor elements of the day - Martin and his father made centrepieces, and his talented sisters made the couple's invites and their yummy wedding cake. Budget-wise, Aisling says they 'stopped counting' after €20k. Their photos are by Rob Dight, of Epic Love Photography. 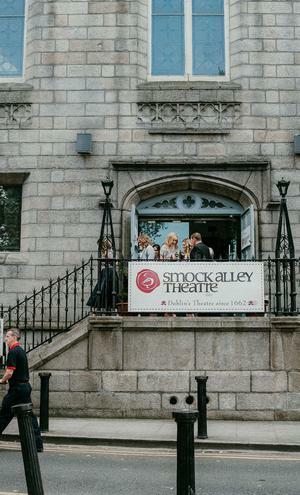 Aisling and Martin's humanist ceremony was held in Smock Alley Theatre in Dublin and was celebrated by Susie Kennedy. "We both wrote our own vows as well, which was really special on the day." 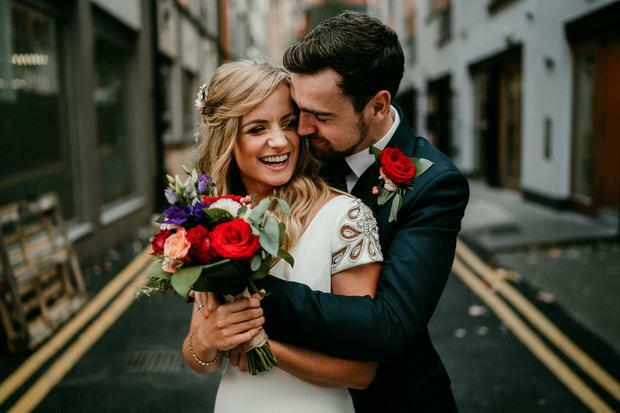 Aisling wore a stunning Pronovias gown for the day, which she purchased from Kathy de Stafford Bridal on Wicklow Street, Dublin. "Shopping with Kathy was delightful," she says, "she was there on the day, offering prosecco and chocolates throughout, helping with selecting dresses and trying them on! We went mid-week and had the place to ourselves for almost two hours! I managed to try on about 11 dresses in that time." 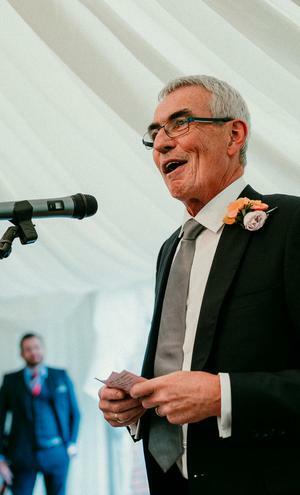 Martin's suit was tailor made by Paul Henry tailoring: "Having a suit made is an something every man should experience at least once!," says the groom, "it was thoroughly enjoyable." 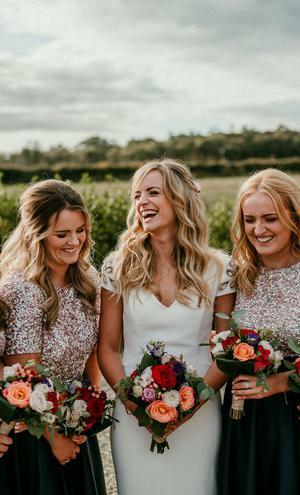 Aisling's bridesmaids wore sequin tops which they got from Soho Market in St Stephen’s Green and had altered by Zippys alterations in Blanchardstwn. Their skirts were custom made from Etsy and their shoes were from Asos and Mango. The groomsmen's suits were from M&S, tailored by Paul Henry, while the groomslady (Martin's sister) got her dress in Hobbs. 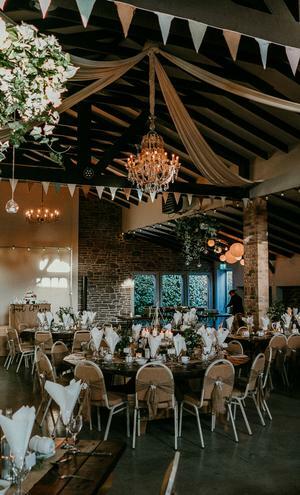 For their reception, the couple chose the beautiful and unusual setting of Segrave Barn in Co. Louth. "Everything about Segrave was so beautiful," says Aisling, "it was everything we wanted." 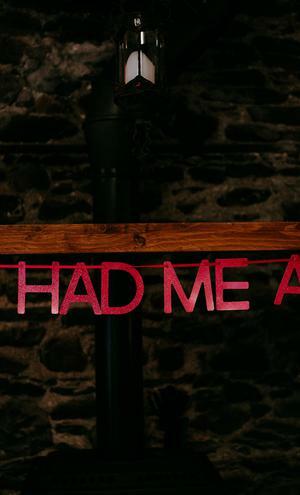 "A barn to die for, a forest to dance under the stars in, a snug bar to drink in, flexibility with suppliers, glamping on site, llamas, donkeys, cats, dogs and exclusivity of the venue. It was the first and only place we viewed. Every little aspect of Segrave had been wonderfully thought out and suited everything we wanted in a venue. John and Eugene [the owners] were incredibly accommodating and relaxed. It was a very easy choice." When it came to a theme for the day, the couple say they didn't really have anything in mind. 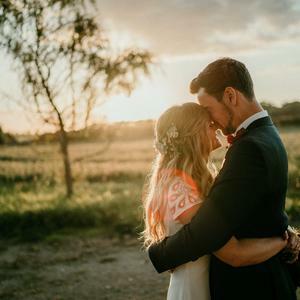 'Non-traditional' and 'fun' were the order of the day, with their venue, music and food choices being that little bit different from the norm - and their Marryoke and dinosaur suits certainly something you don't see at every wedding! "We did things a little differently!" says Aisling. Decor-wise, the couple managed to borrow and DIY quite a bit, with plenty of help from their talented families. "We were lucky enough to borrow some candle lanterns from friends, and we got our inflatable dinosaur outfits from Wish along with some glass candle holders. Martin and his dad built the copper frame arch for the wedding ceremony centerpiece - we were thrilled with it! Martin and his sister Emma created all the invites, signs, menus and favour cards on photoshop which helped keep costs down, and his other sisters, Gillian and Denise, made the amazing cake!" For Martin? "The first dance under the moonlight in the forest to Alt J’s cover of Dancing in the moonlight." For Aisling? "Walking up the aisle... Other stand out moments include Eugene as the singing chef and the speeches! In particular my Dad adorning a sombrero and poncho for his speech." 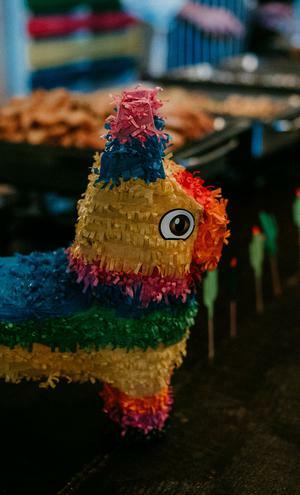 "We both love Mexican food and in keeping with our non-traditional theme, we had Mexican for the main meal," says Aisling. 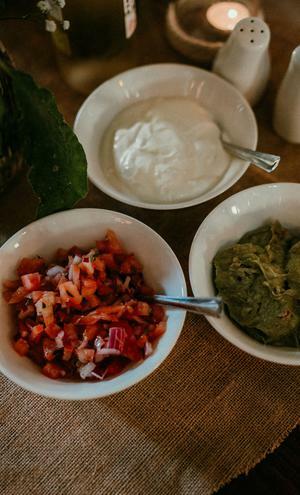 When guests arrived at Segrave there were nachos and dips waiting for them on their tables while later on the main meal was served buffet style. For the drinks reception, the bride's mother had organised a Nebuchadnezzar of champagne "which was quite the talking point!" 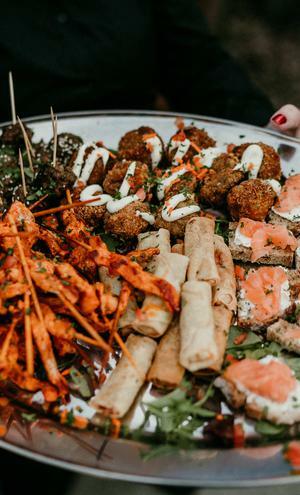 "D’lish catering were only too accommodating to our unusual requests," says the bride. "We also served up gourmet burgers from D’lish’s burger truck in the evening." "Make sure to take a couple of days off work before the wedding off as there are a million things to do! There were so many decisions. And enjoy every moment of it as it will be the fastest weekend of your life." 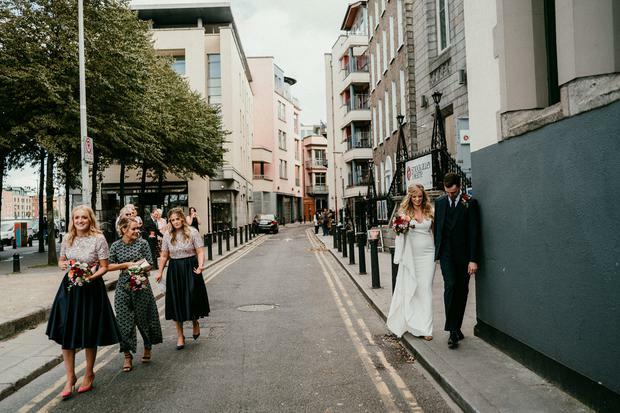 Karen Birney Katie Redmond and Robert Sweeney first met in trendy Dublin nightclub Tripod back in 2011.